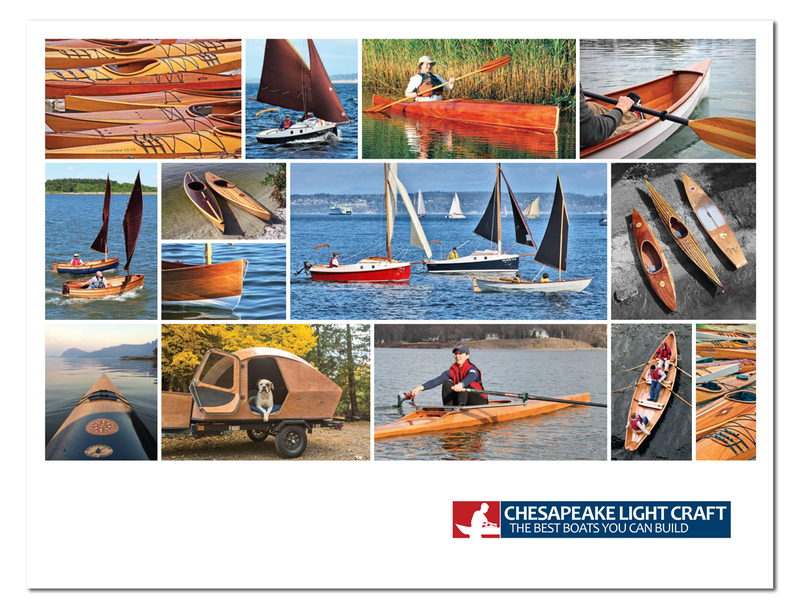 Lighthouse Tender Peapod 13' 5" 160 lbs. 52 in. 650 lbs. 6" 30" 95 sq ft.
We've been working on this new 13'5" rowing-sailing design since Fall 2017. Much of the construction was done last summer in a class at the WoodenBoat School with finish work and rigs completed here at CLC by Travis Guthrie and colleagues. We don't have a release date for the kits and plans, but we're aiming for late spring 2019. This design is modeled on the "peapods" indigenous to Maine. "Peapod" is a somewhat amorphous term for a double-ended rowing-sailing boat, used for inshore lobstering, fishing, and general utility such as tending lighthouses. Thus the design name: Lighthouse Tender. Designer John C. Harris was inspired by the "Old Sailing Peapod" from Washington County, Maine, detailed in American Small Sailing Craft, Howard Chapelle's indispensable reference work of traditional designs. 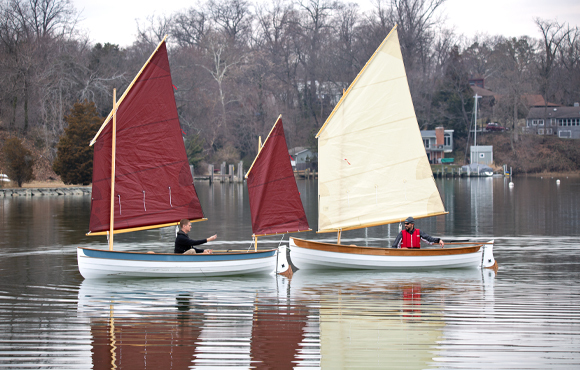 The boat in American Small Sailing Craft was built "about 1886" and its hull shape recorded by Chapelle in 1937. A good peapod is stable enough to allow the crew to stand and retrieve heavy lobster pots over the side. Rowing qualities are central to the design, but sailing rigs were added whenever much distance needed to be covered. Stable and easily driven, they make fine sailboats. Traditional working peapods were extinct by the 1960's, but thanks to Chapelle and others the type found a new life as a pleasure boat. A traditional peapod is really hard to build. It took John Harris the better part of 20 years to translate the Maine peapod's subtlety of shape and character into a design that can be built easily using stitch-and-glue techniques, without a complicated mold or complex joinery. 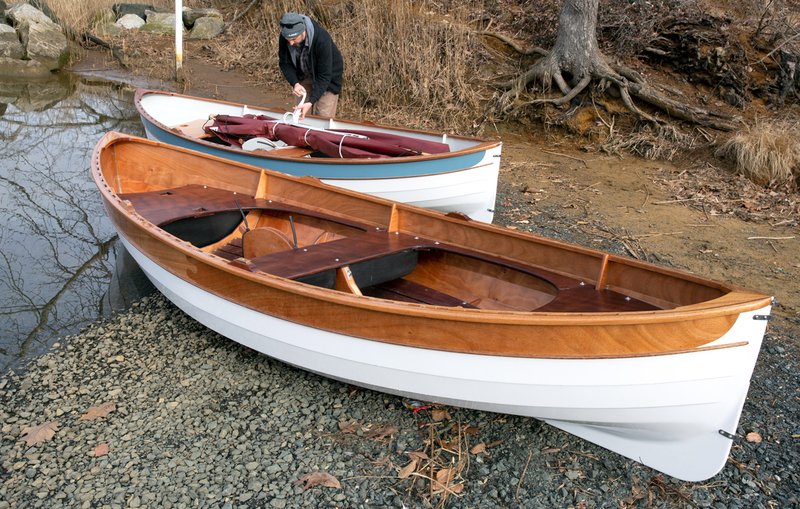 "You'd never guess it, but the Skerry design was my first hack at a peapod, way back in 2000," John says. "At the time, however, getting plywood to bend into such a complex shape was out of reach of available design technology. Instead, the Skerry developed into a cousin of the round-sided dory---a simpler, though no less attractive shape. 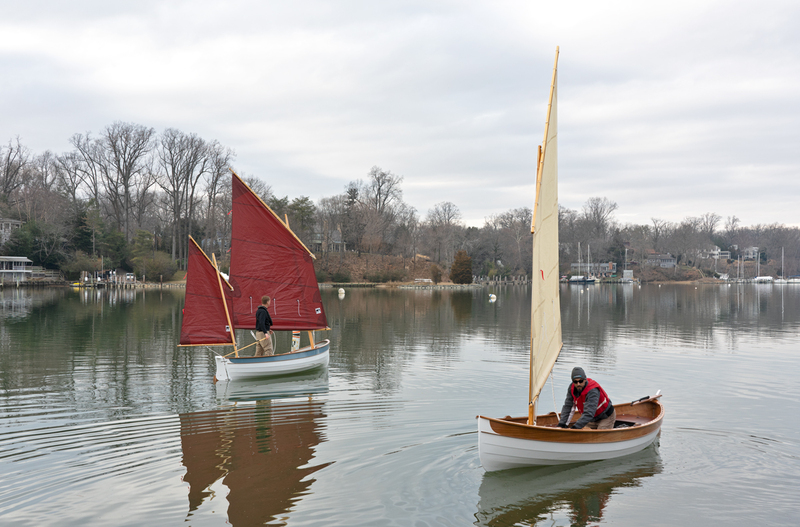 It was a happy accident, as the Skerry ended up really light and really quick to build, like a dory, and became one of the most popular boat kits of all time." CAD/CAM has come a long way, meanwhile, and John remarks, "We've gotten a lot smarter." CLC's new Tenderly Dinghy was the big breakthrough, John says. "The Tenderly Dinghy can be stitched-and-glued by most first-time boatbuilders, yet there isn't the slightest compromise in that boat's traditional hull shape for the sake of construction ease. 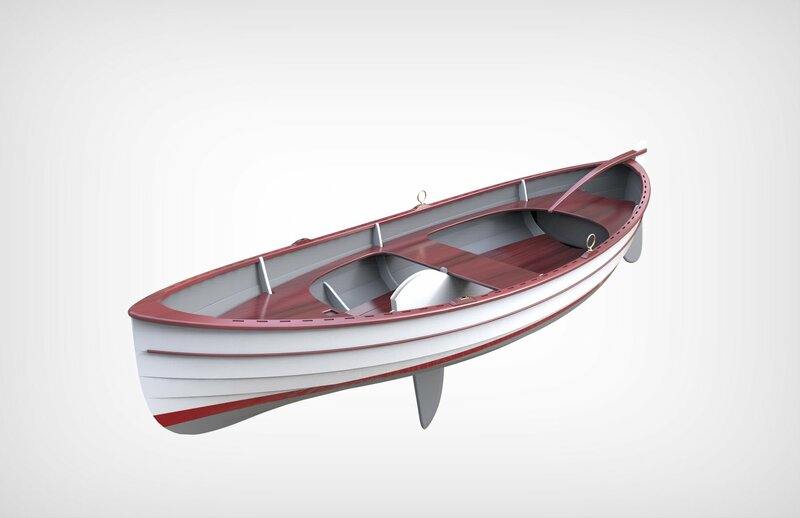 It's an absolutely free-form shape, unconstrained by the need to be shipped out as a pre-cut boat kit. 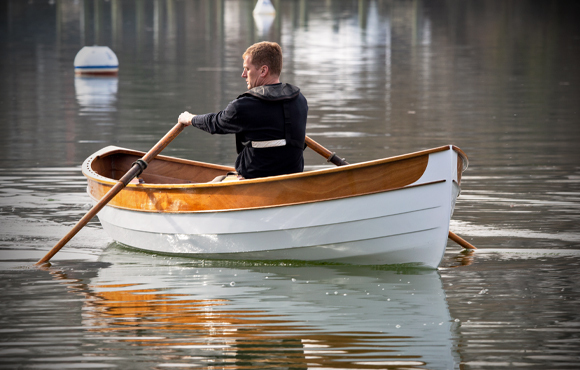 Show a Tenderly Dinghy to a professional boatbuilder unfamiliar with the design, and they'll assume it was assembled using complex traditional techniques." Before the 100th Tenderly Dinghy kit had shipped, John was convinced that he could have his stitch-and-glue peapod at last. 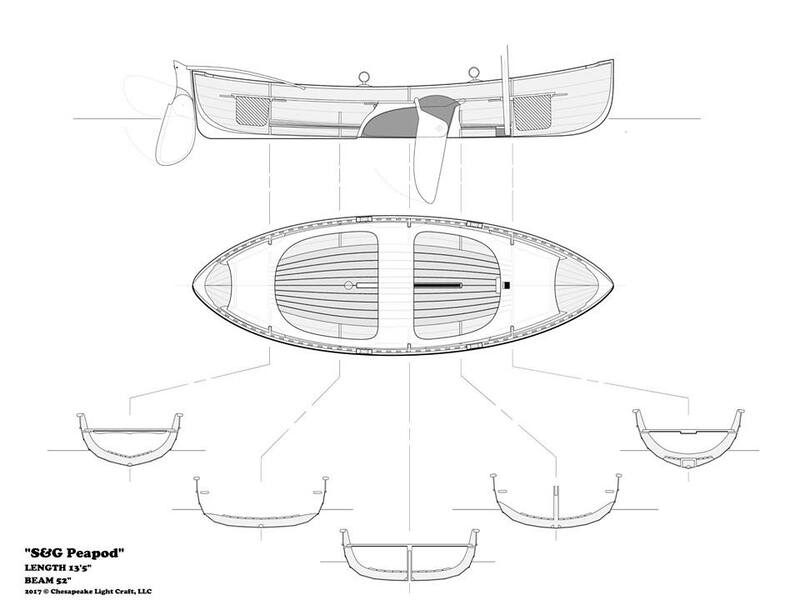 In many respects, the new peapod design is a Tenderly Dinghy with a pointed stern instead of a transom. 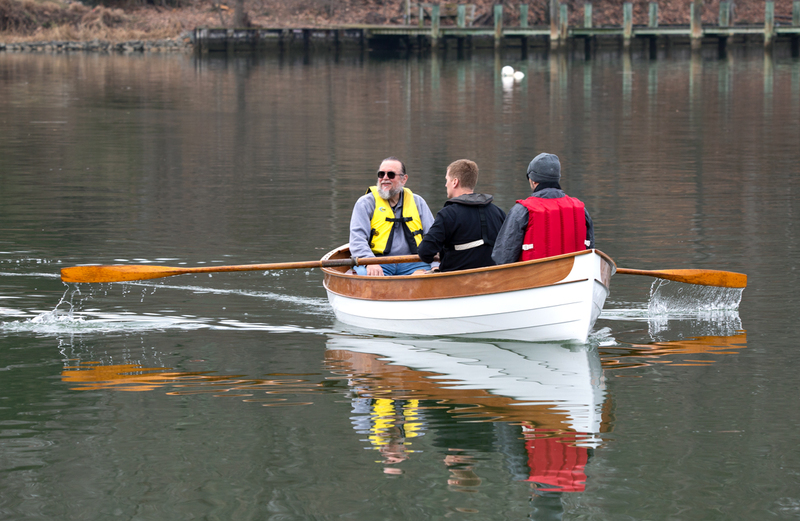 After some tinkering, the prototype Lighthouse Tender was built at CLC, and another during a class at the WoodenBoat School during 2018. Both hulls were finished at CLC while cameras snapped pictures for the instruction manual. Early tests have been extremely promising. The Lighthouse Tender rows and sails beautifully. 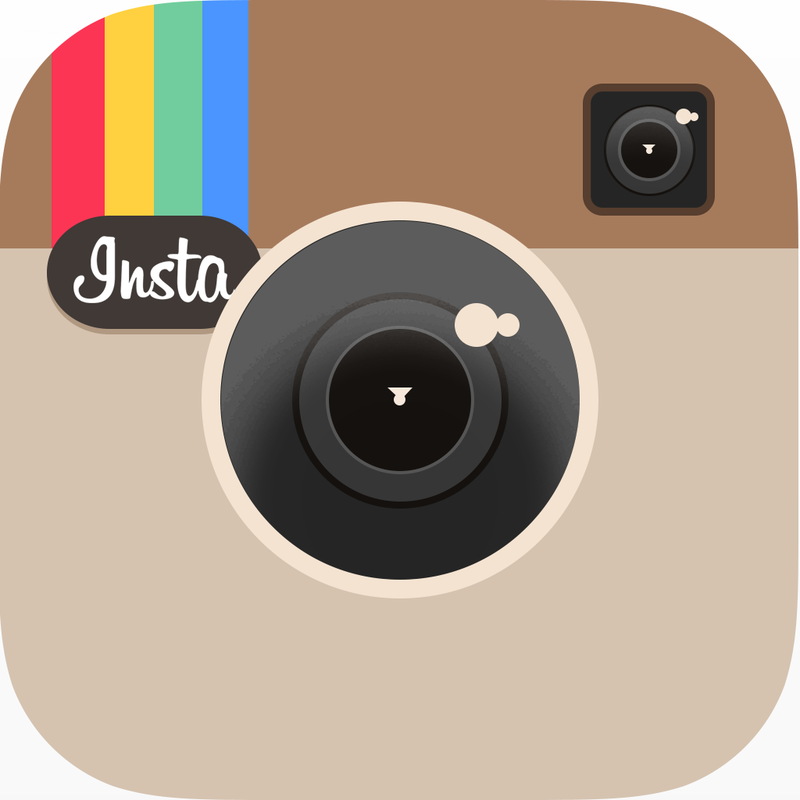 It's stable and, like its traditional forebears, carries a heavy load. Though the Lighthouse Tender is 18" shorter than the Skerry, its payload is 45% larger, at 650lbs. We'll be working to put the kit (and plans for scratch-builders) into production throughout the winter and spring of 2019. Stay tuned for more photos and performance reports. CLC's peapod has all of the subtle shape of a good Maine peapod, and it's lovely to row. 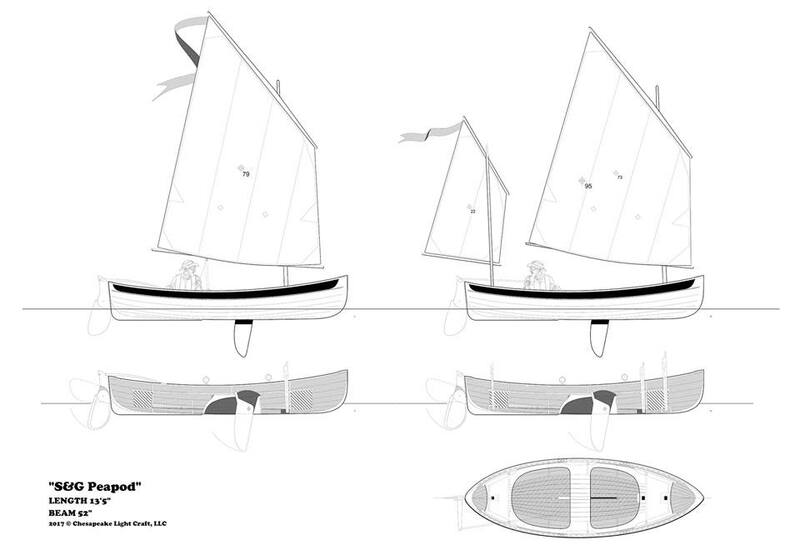 Rig options will include either a single balanced lug sail or a cat-yawl rig with two lug sails. A traditional pivoting centerboard is standard, and the rudder kicks up. All versions will include three mast steps, allowing numerous rig options. Need more wind for photos! In this photo, the boat is displacing about 810lbs. The sterns of the two prototypes are closest to the photographer, showing the big skeg for solid tracking while rowing.